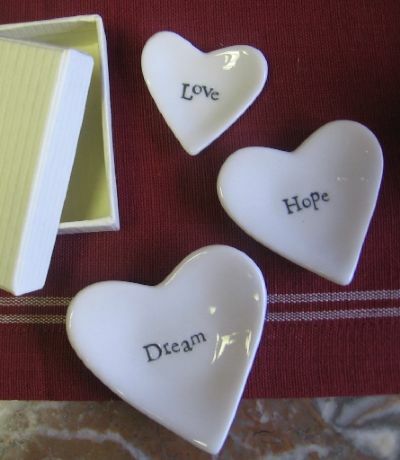 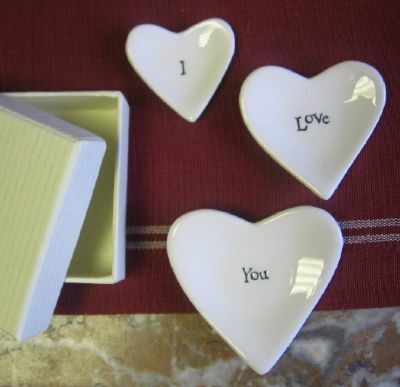 Set of 3 tiny white ceramic dishes in gift box. 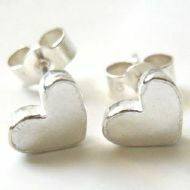 Stamped letter read "I LOVE YOU". 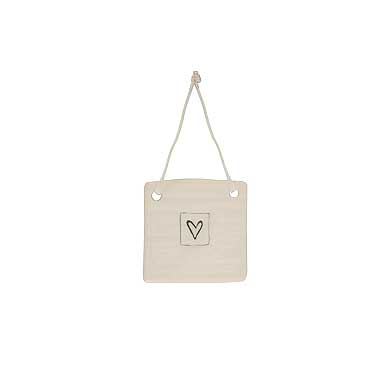 Set of 6 Luggage tags in strong brown cardboard. 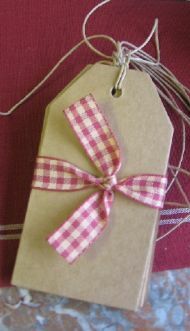 Tied neatly with gingham ribbon. Ceramic Dove. 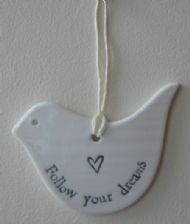 Reads "Follow Your Dreams"
East of India Square ceramic decorative hanger. 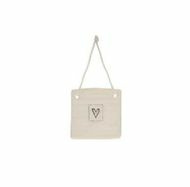 Delicate white ceramic heart on string.